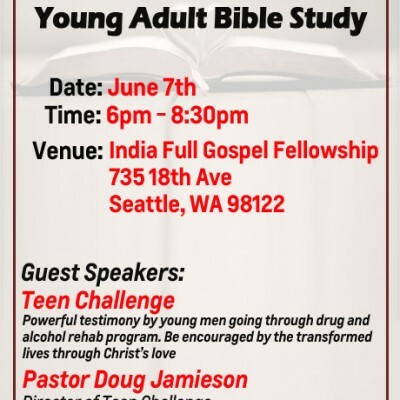 Dear Brothers and Sisters, We will have Teen Challenge joining us for the evening Young/Adult Bible Study. It’s going to be powerful testimonies of lives transformed by God’s love. Please note time change. Meeting will start at 6 pm. Flyer is attached. Please feel free to invite your friends. Yes, we will have potluck.